ATS established the Mildred S. Christian Career Achievement Award to honor the memory of Dr. Christian, known to many as “Millie.” She gave much of her time and financial resources to the Academy and helped to make the ATS into an efficient and scientifically recognized organization. Many of the policies and practices used today benefit from her efforts. The awardee must be an ATS Fellow in good standing as either a full ATS Fellow or ATS Emeritus. A Fellow that is a current member of the Board of Directors of ATS is not eligible to receive the award. The awardee must have demonstrated extraordinary scientific achievement through publications, professional activities, and/or leadership that have enhanced the practice of toxicology as judged by the Board of Directors. The ATS Board of Directors is requesting nominations from the ATS Fellows for the 2019 Mildred S. Christian Award. All nominations for the 2019 award must be submitted on the official ATS Mildred Christian Award Nomination form, available by clicking on the link below. While the candidate’s CV must accompany the nomination form, the nominator must also describe on the form how they believe their candidate meets the criteria for the award. Only one secondary letter per candidate is requested. If more are submitted in addition to the one listed on the nomination form, the Awards Committee will consider these at their discretion. Note that nominations submitted in 2018 do not need to be resubmitted using the new form. If you believe an ATS Fellow meets the criteria for this award, we request that you submit the nomination form along with the nominee’s biographical information (complete CV if possible) to Susie Masten at smasten@acadtoxsci.org for the Board’s consideration. The deadline for receipt of nominations and secondary letters for the 2019 award is November 1, 2018. Dr. William Slikker, Jr. is the Director of the Food and Drug Administration’s (FDA) National Center for Toxicological Research (NCTR). Over his 41 years of service to FDA, Dr. Slikker has advanced from postdoctoral fellow to the Director of NCTR. Bill was initially hired as a Staff Fellow and then promoted to Branch Chief of the Pharmacodynamics Branch of the Reproductive and Developmental Toxicology Division. During this time, he gained valuable postdoctoral mentorship from Dr. Donald Hill, a pediatrician at Arkansas Children’s Hospital, and from Dr. Heinz Nau, a noted pharmacokineticist at the Free University in Berlin. In 1993, Dr. Slikker envisioned and initiated NCTR’s Division of the Neurotoxicology and was named its first Director. Since his promotion to Deputy Director of Research in 2005 and soon thereafter to Director, NCTR, he has expanded NCTR’s mission to provide data for comprehensive and quantitative safety assessments and to improve strategies and approaches for evaluating FDA-regulated products. Under his leadership, the state of science has progressed from primarily observational science to include many modern techniques, including genomic technology, in vitro/stem cell approaches, pharmacokinetic/pharmacodynamic modeling and bio-imaging. Dr. Slikker received his Ph.D. in Pharmacology and Toxicology from the University of California at Davis under the mentorship of Dr. Keith Killam, Chairman of the Department of Pharmacology, a past president of the American Society for Pharmacology and Experimental Therapeutics (ASPET) and a distinguished neuropharmacologist. Dr. Slikker has been able to sustain his involvement in mentoring through his adjunct professorships in the Department of Pediatrics, as well as the Department of Pharmacology and Toxicology at the University of Arkansas for Medical Sciences. He is privileged to have served as mentor for a dozen PhD students and many postdoctoral fellows. These well-placed students have gone on to make an impact in toxicology, several now having graduate students of their own. Active support and leadership of scientific societies has long been a focal point for Bill. 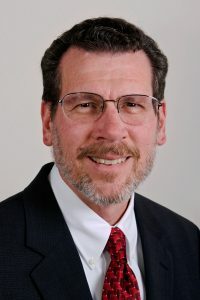 He has held committee chairmanships or elected offices in several scientific societies including the Teratology Society (serving as President, 2002) and the American Society for Pharmacology and Experimental Therapeutics (chair, Developmental Pharmacology Section and member, Program Committee). He also served as president of The Academy of Toxicological Sciences (2006) and the Society of Toxicology (2012). Dr. Slikker has a passion for initiating new conferences and societies where there is a scientific need. He is co-founder along with Dr. Bruce Trembly of the International Conference on Neuroprotective Agents that has meet every other year since 1991. He is the co-founder with Dr. Steve Jennings and served as past president of the MidSouth Computational Biology and Bioinformatics Society, a regional Society that has official recognition with its international counterpart. In 2011, Bill established along with Drs. Margaret Miller and Weida Tong the Global Summit for Regulatory Science that brings leadership from the food and drug regulatory agencies from nine countries and the European Union together on an annual basis to focus on regulatory science research. These lasting partnerships, including the Global Coalition for Regulatory Science Research, are focused on modernizing safety assessment through global exchange, training, and collaborative research with toxicologists and other scientists throughout the world. Dr. Slikker has been recognized for his scientific achievements in the field of toxicology. Bill has authored or co-authored over 350 publications in the areas of transplacental pharmacokinetics, developmental neurotoxicology, neuroprotection, systems biology, and risk assessment. His publications, including books for which he served as editor, have been cited nearly 14,000 times. He is currently associate editor for NeuroToxicology and Experimental Biology and Medicine. He was the recipient of the 2014 George H. Scott Memorial Award from The Toxicology Forum. He was also invited to present the Warkany Lecture at the 2015 annual meeting of the Teratology Society and the 32nd Annual Samuel Kuna/Robert Snyder Distinguished Lectureship in Toxicology. He has also served on several national/international advisory panels/activities for the International Life Sciences Institute/Health and Environmental Sciences Institute, Chemical Industry Institute of Toxicology Centers for Health Research, Environmental Protection Agency, National Institute of Environmental Health Sciences, National Academy of Sciences, National Institutes of Health and World Health Organization. By collaborating with scientists from academia, industry and government and by encouraging activities in the areas of prediction and prevention of toxicity and in regulatory sciences, Dr. Slikker has energized human-relevant, translational research and expanded regulatory science to include the principles of nanotechnology, emerging technologies and bioinformatics.